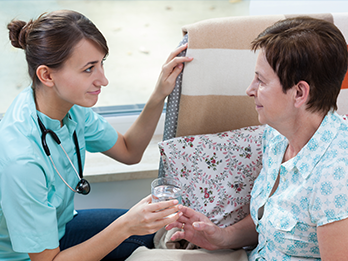 Centerstone’s Integrated Addictions Care seeks to equip people who have complex healthcare needs. Though various collaborations, clients are connected with tools, skills, and community connections they need to take action to engage in recovery activities, improve their physical health, improve their mental health, and enjoy life. Developed by Centerstone’s Center for Clinical Excellence in collaboration with affiliated Centerstone leaders and experts, Centerstone’s Integrated Addictions Care is the suite of services we provide to individuals with mild to severe substance use disorders and/or co-occurring disorders. Services are based on an individual’s level of need per the American Society of Addiction Medicine (ASAM) criteria. Services provided within the Centerstone Addictions Care suite are adapted to client needs and are provided by one treatment team that offers specialized care within our integrated care clinical pathway. This pathway is designed to provide services for clients with substance use and/or co-occurring disorders that cause preventable ER visits, hospitalizations, involvement with the legal system, are interfering with the client’s ability to seek employment, and impacting the client’s quality of life. Excellent Access— you can get into treatment quickly and easily. No matter your diagnosis, no matter your payer source. Personalized Care— your treatment will be tailored to your needs, your goals and your life. Treat to Target— the success of your treatment is measured according to the goals that you set with your care team. Person-centered, strengths based collaborative care planning to ensure all of a client’s needs, including recovery activities, physical health, mental health, and social needs, are addressed. Community recovery coaching with engagement, wellness monitoring, transitional care, discharge planning, health promotion activities, self-management skills training, and care management. Support from a peer recovery coach with lived experience. Care coordination and assessment services by team members. Utilization of evidence-based practices including motivational interviewing, behavioral activation, and trauma-informed care. Collaboration with family, friends, and other natural supports of clients to increase support. Rapid response to each client’s care needs including ongoing assessment of recovery needs, level of engagement, and outcomes to determine any need for care plan updates or other service changes. 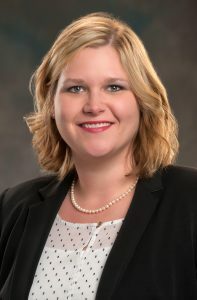 Ashley Newton, MPS, PMP is Vice President of the Center for Clinical Excellence. Ashley leads the Center for Clinical Excellence team as it continues its work to develop research-based care models and provide training and technical assistance to Centerstone operations’ efforts to implement care models and excel in new value based care environments.